Today is unlike any normal days for me. I am sitting at a cafe typing away. I'm taking a few minutes to write this thoughts before I get back to my demanding work life. Somehow a small part of me forgot I'm a mom. When I'm out with my blogger or PR hat on, I hardly think of my child at home. Is there something wrong with me? Which got me thinking if I'm a bad mom? I try to remember the days when my mom would leave for work while I stay at home. I wonder if she felt the same way. My mom was my only parent for a long time which made her the sole breadwinner. She had to work or we won't have anything to eat much less pay for any luxurious things. I wondered if she stayed at home with me, I would have turned out better. A Prima Ballerina, perhaps? And now I wonder if missing out on being with my child would lead to less time for me to help mold her to her fullest potential. With the many parenting books out there with studies even to prove that a child with unlimited access to their parents grow up to be fully functional and even highly exceptional beings, how do I not feel guilty being away from her and quite satisfied sitting here by myself inside a cafe, blogging? No clingy emotions, no crying, no guilt. None at all! 1. I highly trust our Yaya (Nanny). I know all the horror stories in the news and Facebook feeds on how nannies mistreat their alaga. People tend to give me a hard time when I tell them that I leave CC with our helper. That I shouldn't be too trusting, telling me that nothing is ever sure in this world, Ec. Etc. Etc. I think I treat my helper fairly, provide her with a proper wage and even consider her as a friend. I see how she is with my child and when I come home, Claud is as cheery as ever. If a part of me even feels a slight worry, there's always a way check on them. It takes a village to raise a child and I'm glad GOD gave me the peace of mind to entrust my child to someone so I can work and even have fun by myself. I'm blessed to have people whom I can entrust my child to! 2. I made a home for my child that is safe and secure. My husband and I took a while to decide on having a baby because we both feel that our home should be ready for one. Though no amount time will ever ready you for all the responsibility of having a child, we think that our home and the neighborhood we live in is relatively safe and secure enough to shelter a child. There's a good enough security at our building and our small space needs very little management to ever be so worried about having a having child in it. Seriously? What does breastfeeding have to do with me not feeling guilty being away from CC? Well, it takes out the worry about sterilization, proper milk supply, spoilage and what nots when someone else is caring for my child. Breast milk needs very little management. I just had to make sure she has enough stash and that's easily achieved when I pump regularly when I'm out. Preparing breastmilk to formula I found is a lot easier. No need for hot water, shaking etc. I'm thankful Claud is also a quiet baby that she hardly cries when we're away. 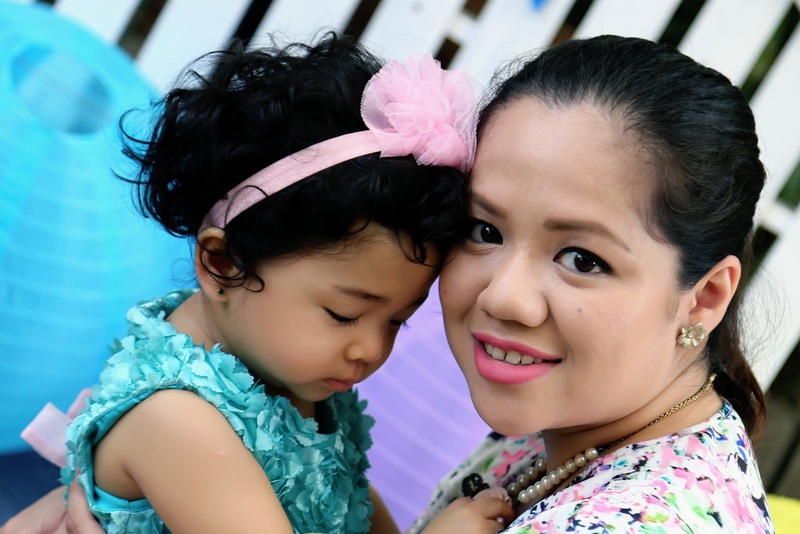 Being a breastfeeding mom also made me incredibly secure with how I'm raising my child. It gave me confidence that helps me properly decide our next steps with her. Breastfeeding is incredibly empowering and to have accomplished it for a year (and counting!) really makes me feel great about it. The husband shares the same sentiments. 4. We are very much connected. Aside from PLDT Home or cctv cameras, ways of communicating with my child is in abundance. Both me and our helper are on SMART and our signal is no less than spectacular. I can easily call her whenever I want to check up on CC. Since we have PLDT Home Telpad, she also uses facebook messenger to send me messages.. She can also send me photos of Claud whenever I want her to. 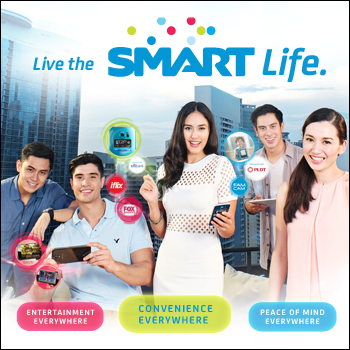 That's #SmartLife for you. Peace of Mind with just a few clicks of a button! 5. I am still me! Motherhood is the best gift there is and I really really am so in love with my child. But I acknowledge that before CC, there is a whole different Shen. Although thanks to expanding convenience of being on the biggest network, I can practically do everything on my mobile and never leave home (Hello, iFlix and super lightning speed LTE! ), I still want to spend time with friends and enjoy a glass of wine or two with them. I don't ever want to push myself too hard in being a good mom to a point I would lose sight of who I really am. I don't think it's fair to my child, to my husband and most of all , to me. It may not have been financially sound for me to quit my job and practically be a stay at home mom but I'm happier with this choice. I'd rather have more time with my child than anything in the world. I'm just glad God is continuously taking care of me and my family! If God has written my life and I have no say in it.. then I'm glad He has all the reins! I would not change a thing right now! Our situation has allowed me unlimited time with my child that when I need to fulfil other obligations, I hardly feel the guilt of being away from her. 7. I have an incredibly supportive husband. One major reason why I think I'm like this is because I know the job of raising Claud doesn't only fall on my hands. I have a husband that is an amazing hands-on father who takes on baby duties when i need to accomplish things at work. I can't imagine how my mom did it having to raise me all by herself for a long time... how she probable spent countless nights worrying about me, her finances and her own state of being. I admire her incredibly for being so strong and I am blessed that she raised me this way so I can find a good man who loves me and our daughter unconditionally. Really i think clingy shouldn't be even used to anything motherhood-related because there is nothing wrong to being clingy either! And there is no mom who would ever not want to spend more time with their children. Whatever kind of mom you are, you are doing great! You are amazing! Motherhood as I've learned cannot be summed up in a book. It is always different from each other. And really, all we can do is our best. How a mother chooses to raise her child, we know comes from a pure place of unconditional love.